I'm so lucky. Elizabeth has been joining me at the Children's Tent at the Market. I love the way she painted Holly's face! Don't you? 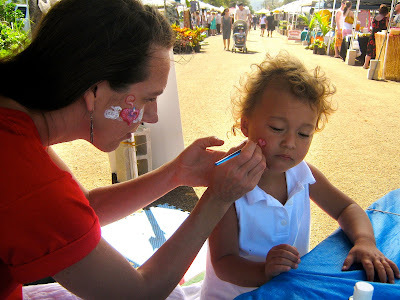 I am so lucky to be a part of the Haleiwa Farmers' Market!